PRESS RELEASE: dv247 have spent the last 12 months planning a multi-phase expansion of their Romford store to make it into the best destination in the UK for all musical tastes and requirements. 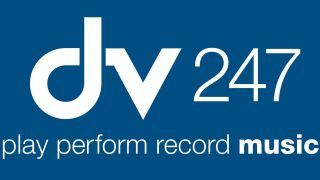 After months of hard graft, the first phase is practically complete and the team at dv247 will be unveiling what they've been working on and where they're going with their great music store mission. To celebrate the official opening of their expanded store, dv247 have planned a massive weekend of musical activities. The Saturday will consist of workshops, demonstrations and the opportunity to meet a variety of manufacturers and see the latest and greatest music equipment. On the Sunday, dv247 will be holding a "Battle of the Bands" competition in-store to give local bands some great exposure and win some superb prizes. All weekend the store will be packed to the roof with all types of equipment and there will be exclusive deals and great offers on all kinds of music gear. There will be tempting offers for everyone - whether you're a student, amateur or professional, musician, producer or engineer. The event is being held during Saturday 1st November and Sunday 2nd November at the dv247 store in Romford, Essex, doors open 10am - 6pm Saturday and 11am - 5pm Sunday. Activities on the Saturday include: Steinberg song writing and production masterclass, Ableton Push Playground workshop, demonstrations of the brand new Traktor S8 by Native Instruments, as well as various demos and activities from Focusrite, Mackie, Novation, Roland and others. For further information and full event list please visit dv247's websiteor call dv247 at 0203 1766 247.